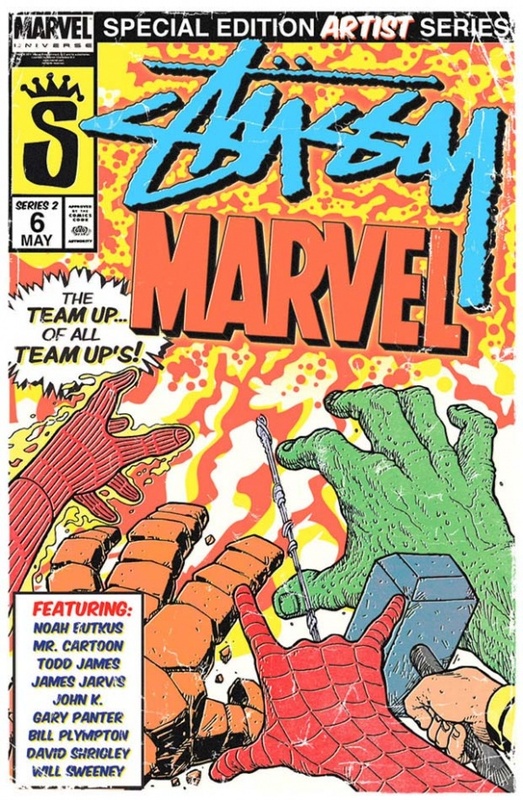 Big brands and big themes are the hallmarks of collaborations this year, and next cab off the rank will be Stussy x Marvel Comics featuring artists like Mr Cartoon, Will Sweeney, James Jarvis and Bill Plympton exploring classic Marvel characters. This one seems to be getting everyone particularly hyped. So long as the collection is as good as this poster, then they’ve already won.